Draft: 2008, Los Angeles Angels, 16th rd. Entered 2013 as the sixth-best prospect in the organization according to Baseball America...Named Pacific Coast League Pitcher of the Year after going 12-5 with a 3.15 ERA in 23 starts at Triple-A Nashville.....was also named Brewers Minor League Pitcher of the Year...Tied for second in the Pacific Coast League in wins (12) and ERA (3.15) while leading the league in opponent batting average (.228).....also led in hit batters (14) and walks (81)...From 5/16-7/30 produced a stretch with Nashville during which he went 9-0 with a 1.16 ERA over 10 starts (62ip, 8er)...Had a pair of stints with the Brewers (6/26-7/10 and 9/3-end)...Went 1-4 with a 6.75 ERA in 8 games (7 starts) with the Brewers...Produced 1 quality start.....the team went 2-5 in his starts...Made his Major League debut on 6/28 at Pittsburgh and took a 10-3 loss.....tossed a perfect first inning before the Pirates' 7-run second inning (1.2ip, 6h, 7r, 5er, 2bb, 1k).....his first career strikeout was Russell Martin...Earned his first Major League win and recorded his only quality start with the Brewers in a 5-3 victory on 9/7 at Chicago-NL (6ip, 4h, 3r, 3er, 3bb, 1k, 2hr, 1hbp)...Enters 2014 as the fourth-best prospect in the organization according to Baseball America. Named Angels' fourth best prospect for 2012 by Baseball America...Finished season 6-4 with a 3.73 ERA (89.1 IP - 37ER) in 28 appearances (14 starts) for Inland Empire...Allowed 75 hits (5 HR) and walked 59 batters while strikingout 113...As a starter, registered a 4-1 record with a 2.12 ERA (63.2 IP - 15 ER) in 14 starts...Struck out 80 batterscompared to 28 walks in his 14 starts...Allowed two earned runs-or-less in final nine starts. In 2010, spent entire season with Cedar Rapids, posting a 2-4 record with 16 saves and a 4.33 ERA (43.2 IP - 21ER) in 41 appearances...Led club in appearances and saves while finishing 36 games. In 2009, began season with the Tempe Angels where he registered a 2-1 record with six saves and a 2.96 ERA (24.1 IP- 8 ER) in 18 appearances...Promoted to Cedar Rapids and made five appearances, posting a 1.35 ERA (6.2 IP - 1 ER). In 2008, began professional career with Tempe Angels, posting a 1-0 record with a 4.98 ERA (21.2 IP - 12 ER) in14 appearances (three starts). June 25, 2018 Indianapolis Indians released RHP Johnny Hellweg. April 5, 2018 RHP Johnny Hellweg assigned to Indianapolis Indians from Altoona Curve. February 23, 2018 RHP Johnny Hellweg assigned to Pittsburgh Pirates. October 22, 2017 Yaquis de Obregon placed RHP Johnny Hellweg on the reserve list. October 13, 2017 RHP Johnny Hellweg assigned to Yaquis de Obregon. August 24, 2017 Pittsburgh Pirates signed free agent RHP Johnny Hellweg to a minor league contract. August 24, 2017 RHP Johnny Hellweg assigned to Altoona Curve. November 15, 2016 RHP Johnny Hellweg assigned to Pensacola Blue Wahoos. November 14, 2016 Cincinnati Reds signed free agent RHP Johnny Hellweg to a minor league contract. 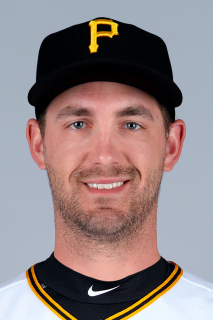 June 30, 2016 El Paso Chihuahuas released RHP Johnny Hellweg. April 4, 2016 RHP Johnny Hellweg assigned to San Antonio Missions from El Paso Chihuahuas. November 29, 2015 RHP Johnny Hellweg assigned to El Paso Chihuahuas. November 17, 2015 San Diego Padres signed free agent RHP Johnny Hellweg to a minor league contract and invited him to spring training. November 6, 2015 RHP Johnny Hellweg elected free agency. November 2, 2015 Milwaukee Brewers sent RHP Johnny Hellweg outright to Colorado Springs Sky Sox. October 5, 2015 Milwaukee Brewers recalled RHP Johnny Hellweg from Brevard County Manatees. August 1, 2015 RHP Johnny Hellweg assigned to Brevard County Manatees from Biloxi Shuckers. July 4, 2015 RHP Johnny Hellweg assigned to Biloxi Shuckers from Brevard County Manatees. June 9, 2015 RHP Johnny Hellweg assigned to Brevard County Manatees from Colorado Springs Sky Sox. April 9, 2015 Colorado Springs Sky Sox placed RHP Johnny Hellweg on the 7-day disabled list. March 10, 2015 Milwaukee Brewers optioned RHP Johnny Hellweg to Colorado Springs Sky Sox. September 2, 2014 Johnny Hellweg roster status changed by Nashville Sounds. April 23, 2014 Nashville Sounds placed RHP Johnny Hellweg on the 7-day disabled list. March 12, 2014 Milwaukee Brewers optioned RHP Johnny Hellweg to Nashville Sounds. September 3, 2013 Milwaukee Brewers recalled Johnny Hellweg from Nashville Sounds. July 16, 2013 Johnny Hellweg assigned to Nashville Sounds from Wisconsin Timber Rattlers. July 10, 2013 Milwaukee Brewers optioned Johnny Hellweg to Wisconsin Timber Rattlers. June 26, 2013 Milwaukee Brewers recalled Johnny Hellweg from Nashville Sounds. March 11, 2013 Milwaukee Brewers optioned Johnny Hellweg to Nashville Sounds. October 4, 2012 Milwaukee Brewers recalled Johnny Hellweg from Huntsville Stars. August 29, 2012 RHP Johnny Hellweg assigned to Phoenix Desert Dogs. August 14, 2012 Johnny Hellweg roster status changed by Huntsville Stars. August 8, 2012 Huntsville Stars placed RHP Johnny Hellweg on the 7-day disabled list retroactive to August 7, 2012. July 27, 2012 Milwaukee Brewers optioned RHP Johnny Hellweg to Huntsville Stars. March 15, 2012 Los Angeles Angels optioned Johnny Hellweg to Arkansas Travelers. November 18, 2011 Los Angeles Angels selected the contract of Johnny Hellweg from Inland Empire 66ers. August 25, 2011 Johnny Hellweg roster status changed by Inland Empire 66ers. August 16, 2011 Inland Empire 66ers placed RHP Johnny Hellweg on the 7-day disabled list. June 3, 2011 Inland Empire 66ers activated RHP Johnny Hellweg from the 7-day disabled list. May 16, 2011 Inland Empire 66ers placed RHP Johnny Hellweg on the 7-day disabled list. Right shoulder strain. April 5, 2011 RHP Johnny Hellweg assigned to Inland Empire 66ers from Cedar Rapids Kernels. August 22, 2009 Johnny Hellweg assigned to Cedar Rapids Kernels from AZL Angels.